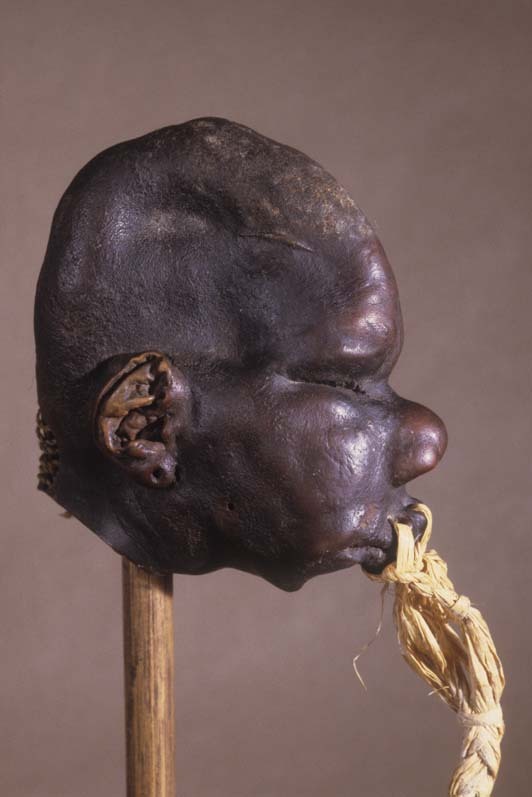 A non-ceremonial human shrunken head that bears some of the traits found on an authentic tsantsa. 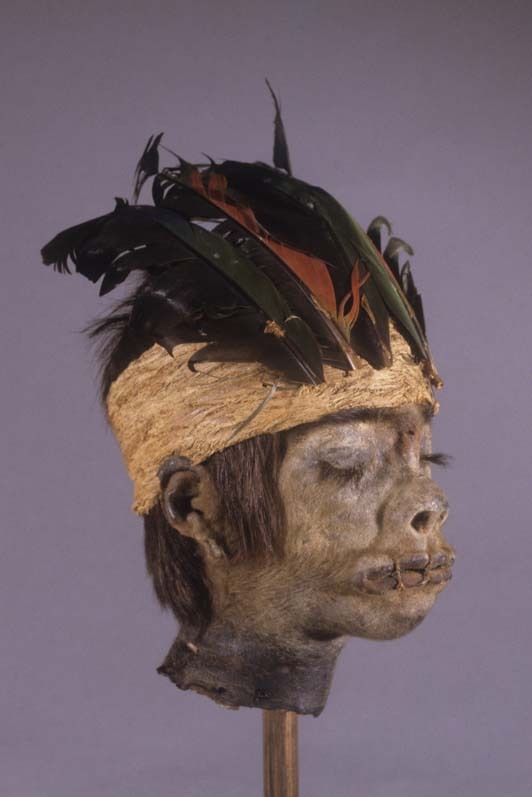 Non-ceremonial human shrunken heads are often adorned with features not found on ceremonial tsantsas, such as a feathered headdress. 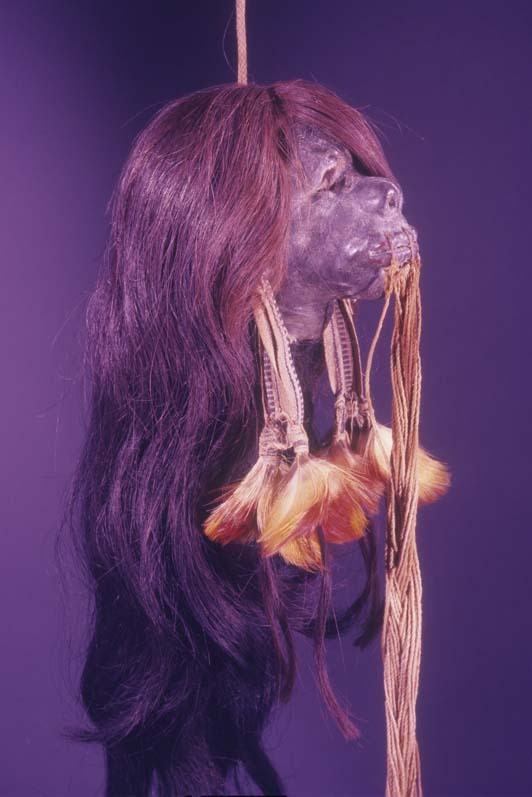 A tsantsa showing the classic profile, long hair, feather earrings, and lip strings consistent with a ceremonial shrunken head or cabeza reducida. 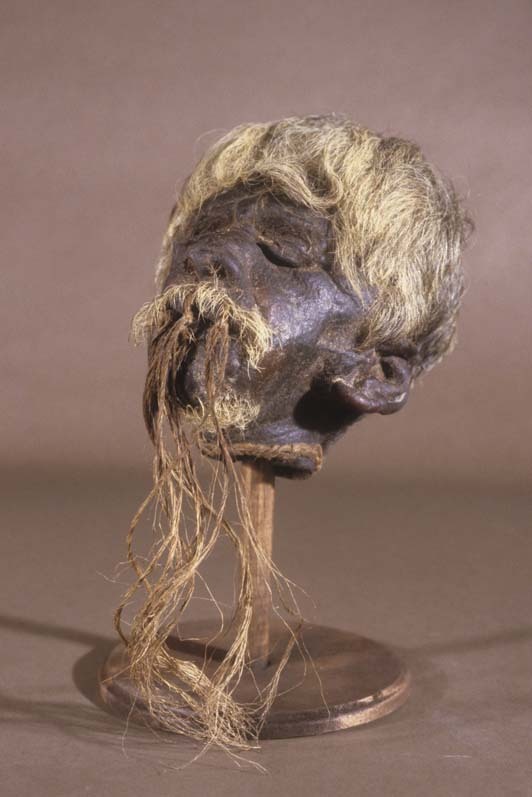 A very unusual non-ceremonial human shrunken head with a cord inserted through the nose. 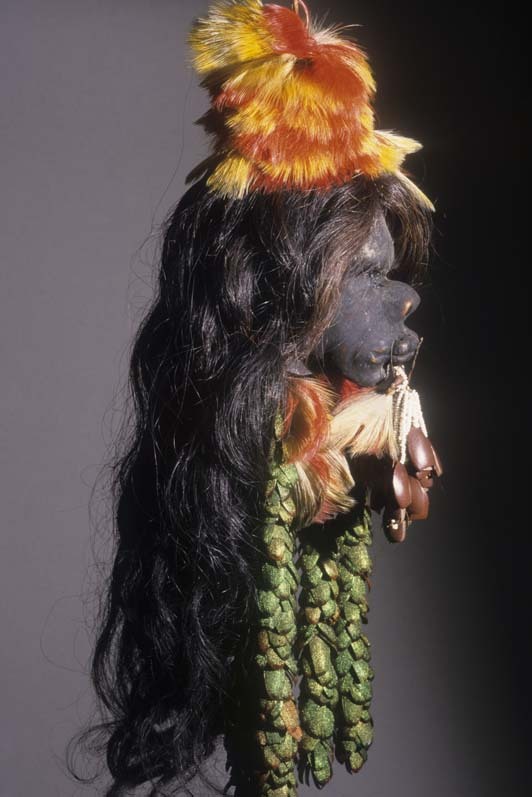 A fabulously decorated tsantsa with authentic adornments but attached in non-traditional areas of the head. 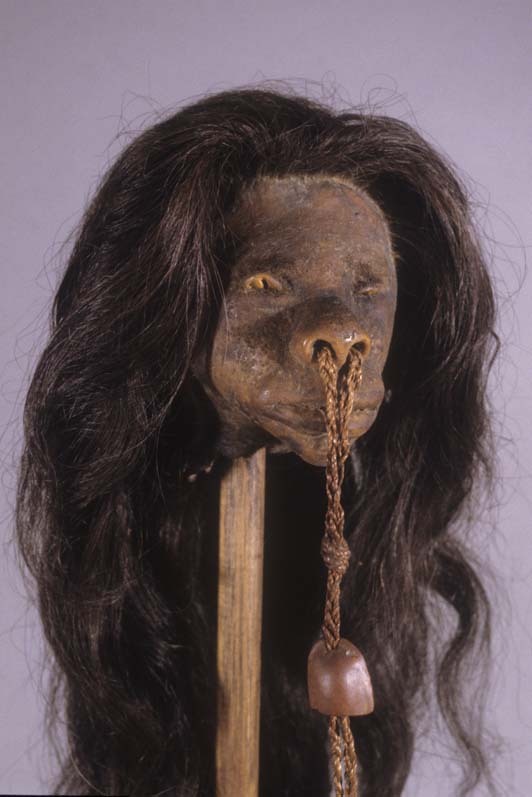 A rare ceremonial tsantsa still retaining the sharpened chonta wood pegs that were used to secure the lips shut. 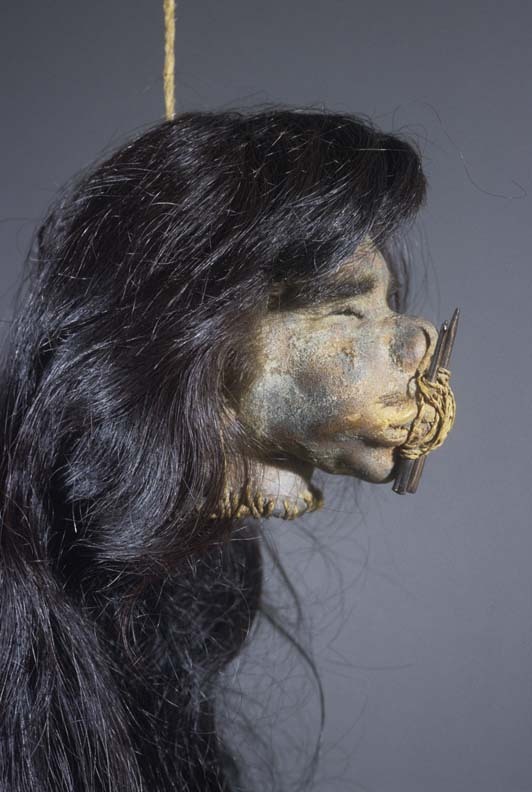 A beautifully crafted non-ceremonial human shrunken head that retained the facial features almost perfectly. 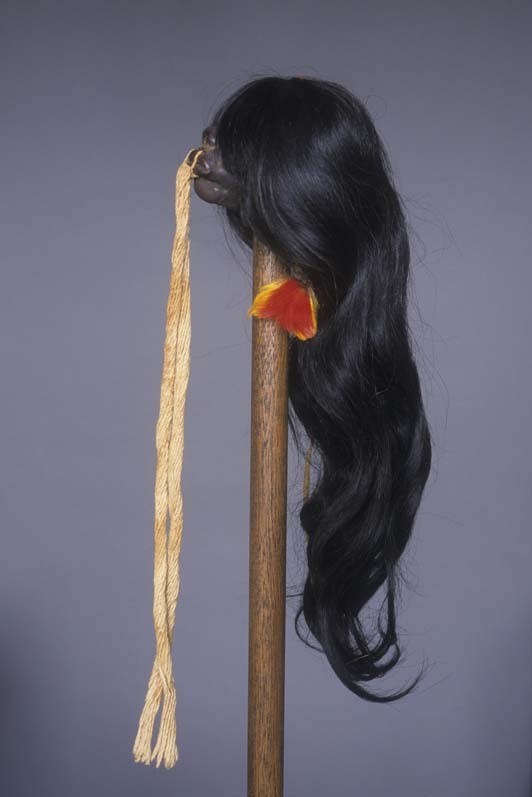 A unique ceremonial tsantsa with textile and feather earrings that bear locks of human hair in them. 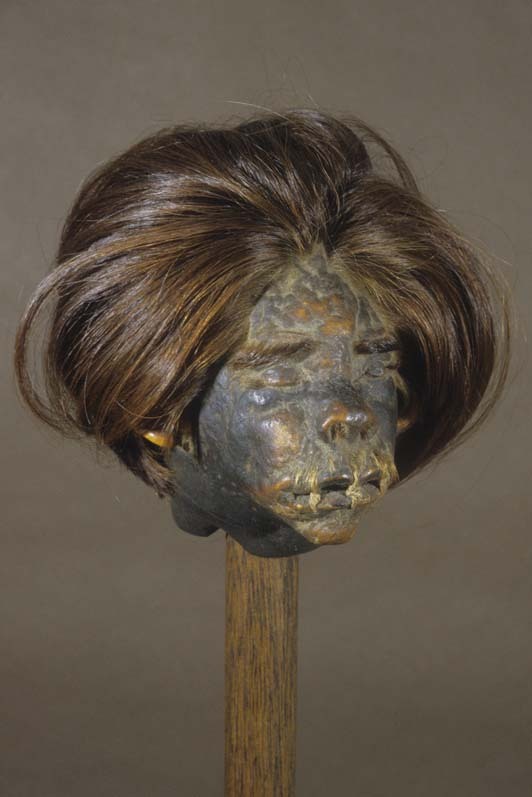 An excellently prepared non-ceremonial human shrunken head mounted on a pedestal in a manner that was once common.